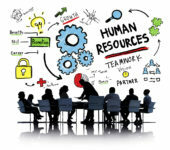 The people of an organization should now be considered its greatest asset, so experts in the modern-day workplace are looking to transform Human Resources (HR) departments into human capital management (HCM) departments, emphasizing the importance of their people. Seventy-three percent of the companies that were surveyed in a Brandon Hall study expected to increase their focus on social learning last year, which means that by this year most of them have probably already implemented their social learning strategies. In a previous post, we discussed the importance of onboarding efforts for setting the stage for an employee’s successful career with an organization, as well as aiding in employee retention. To that end, we made the case for finding ways to measure the effectiveness of your employee onboarding programs. Cisco predicted that 80% of all Internet traffic this year will be video content. And nearly all organizations will plan to use video content as an integral part of their learning and development (L&D) strategies this year, as well. Many employers think that they need to offer things like table tennis in large and custom-designed breakrooms, organic juice bars, bring-your-dog-to-work days, and free lunch every other day—especially when it comes to hiring younger employees—to retain employees and keep them happy. Continuing from yesterday’s post, here are the five more essential metrics you’ll want to track to ensure your virtual training programs remain effective.